Some of us may remember being a child and entering a room so huge we felt a visceral thrill. That fear, awe or desire to run through the space—and probably in our socks so we could slide on that awesome slippery floor—was purely instinctual. It was a sensation so distinct from how we felt in the smaller, more familiar spaces of our little lives. As we inevitably grow older, we pass through these spaces distracted by inner thoughts and grow so familiar with any number of sophisticated spaces, that we often lose our ability to feel the power of architectural spaces so purely and instinctually. But that doesn't mean that we can't still appreciate the pure power of space. However often we think about it, the shape and form of the spaces we inhabit are still working away, affecting our subconscious. Today at homify, we will explore the way house forms and shapes affect us. This isn't of course a purely conceptual exploration. We will understand this by covering a few properties and seeing how they might help us understand a few ideas about the shapes of our homes. Neuroscientists from the University of Toronto conducted a study where they fed people images of various buildings. 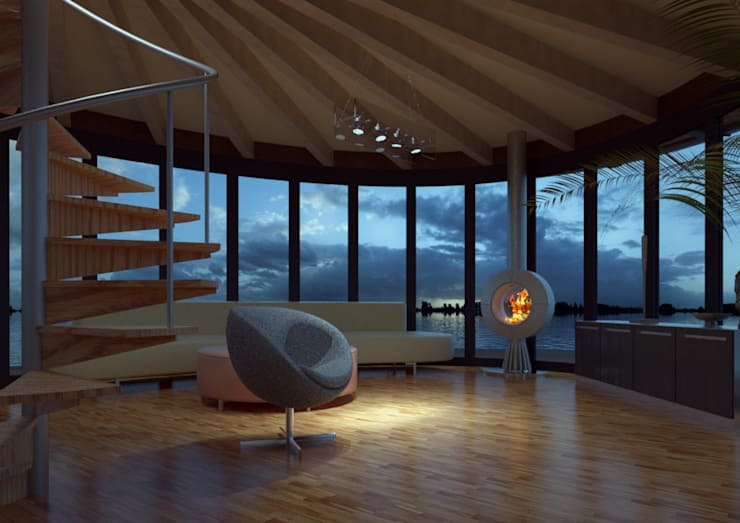 They discovered that people are far more likely to describe a room as beautiful when it is round. And for those who may wonder, yes, the participants were men as well as women. However, one has only to look out the window to see that the huge majority of homes are square or rectangular. This is not just because these regular shapes promote feelings of organisation and efficiency. These shapes are also a very practical. These buildings are easy to stabilise and the space is used efficiently because construction materials are overwhelming made from regular shapes and forms. There are almost no straight lines in nature. Studies have shown that we are less stressed in curved spaces. So many homes with soft undulating curves and organic shapes will generally trigger good feelings. These are shapes that contain strong earthy associations with the circle of life. 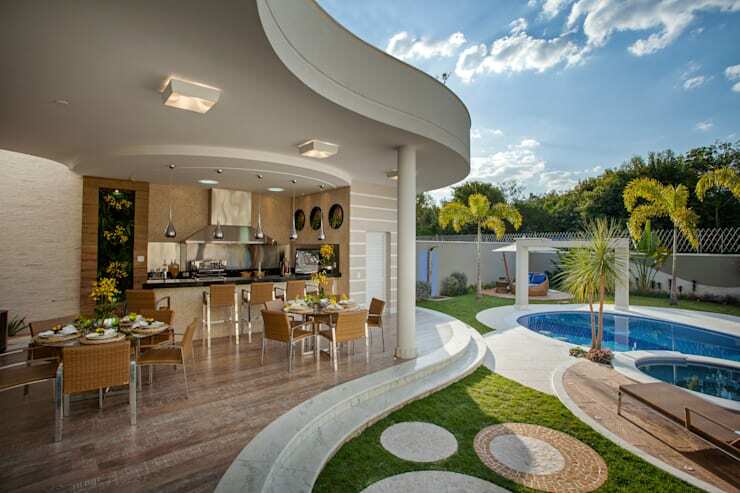 There is a luxurious, abundant feel to a home with curves. For a good example, look no further than this curvy home by architect Nicolas Kilaris. This apartment building with its strong vertical lines looks a little sophisticated. We haven't really seen much of the interior, but vertical lines tend to have that effect. People in rooms with high ceilings also tend to engage in more abstract thinking. Instead of focusing on the specifics of the space, they tend to notice the relationships between different objects. It's an interesting discovery and one that may help explain the feelings of freedom and creative inspiration we frequently feel in tall buildings. Unlike tall buildings, horizontal spaces tend to encourage us to focus on the specifics in our spaces. However, horizontal lines also suggest a strong connection with the earth. The human race evolved with their feet firmly in the ground and a keen eye on the horizon for predators. We generally feel tranquil in horizontal spaces. 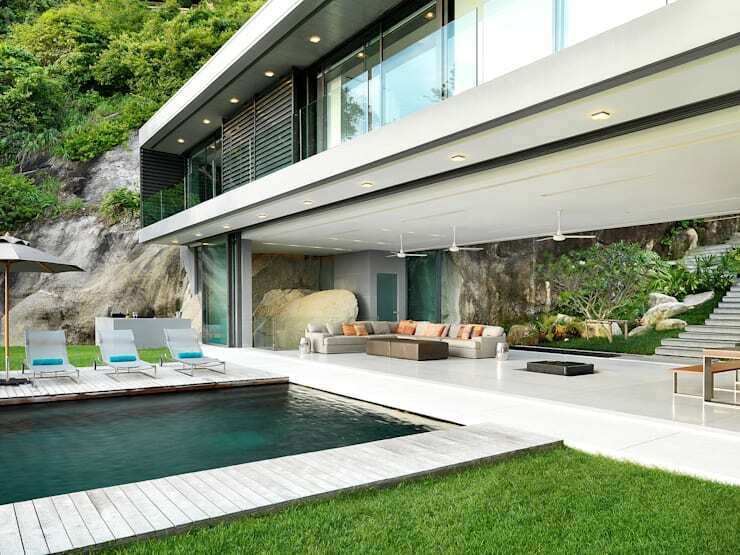 Just look at the layout of most high-end luxury beach resorts and homes like this one by Original Vision Architects. There's a reason they design these spaces with such strong horizontal lines. A brain imaging study at the University of Harvard found that viewing objects with sharp elements activated the amygdala—that is, the part of our brain that processes fear. One researcher proposed that sharp angled lines affect us this way because sharp objects are so deeply associated with danger. But culture, personal histories and familiarity can all soften and change this perception. Now we resisted showing you a full, hippy-like retreat home and came up with this—a circular home with understated luxury. The good thing is that this home has been stripped of all the cliches that usually come along with a circular home—and yet, it still possesses that cosy, organic feel. It just goes to show that a circular design has a powerful and instantly recognisable theme all of its own. 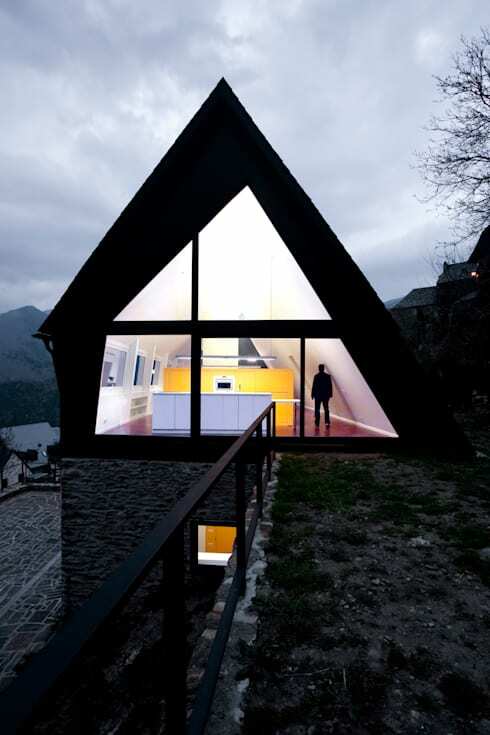 If you're curious about architecture, you'll love The 3D Box House Filled with Light. Have you experienced a strong reaction to the shape of a home? Do you have any additional thoughts on the psychology of architecture?